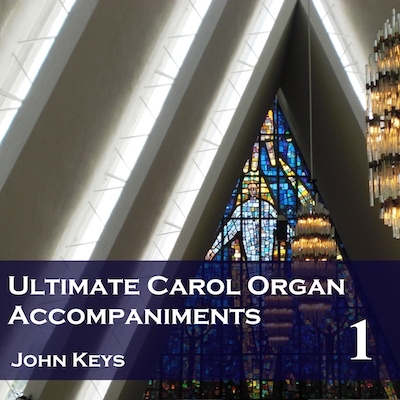 The Ultimate Carol Set includes a total of 119 accompaniments for Advent, Christingle, Christmas and Epiphany carols. It is a recording of every item in the new Ancient and Modern book, Carols Ancient and Modern, featuring carols for both congregations and choirs. Note these recordings are accompaniment only - there is no singing. We also have the Ultimate Plus Carol Set, which features the Ultimate Set, plus 48 accompaniments from our Christmas Carols and More Christmas Carols CDs, primarily in version from Carols for Choirs. There is considerable overlap between the two, but this gives the best possible range of harmonies and matches to different books. The MP3 versions of the Ultimate Plus set also include four bonus tracks from the Alternative US Tunes album. The MP3 sets are compact and cost effective: it is the most flexible way to play your accompaniments. Once the files are in place on a computer or iPod/MP3 player you can search for an accompaniment by the name of the hymn, the tune or the number in the A&M book. Particularly useful is the ability to set up a playlist for a particular service or event, putting the tracks you need on the day at your fingertips. Our MP3s on disc/memory stick come as standard at 256 Kbps, the usual bit rate for MP3s. The Ultimate Carol Set at 256 kbps takes up around 700 Mb. If you are using an old iPod or phone with limited storage, you can opt for our compact version - just drop us an email at info@cul.co.uk when you've placed your order. The compact files are at 128 Kbps - the sound quality isn't quite as good, but it only takes up half the space. To hear how the MP3s sound, you can download some free complete MP3s (256 Kbps) to try on your sound system by clicking here, or if you need to check the difference between the normal MP3s and the compact files download a set of samples at different bit rates by clicking here. If you prefer traditional CDs we can accommodate you too with the full set of 6 audio CDs. Hear samples of any of the tracks by clicking on the relevent iTunes or Amazon button below. The set can be bought online here. Alternatively, you can drop us an email at info@cul.co.uk with your order requirements and we will send back an invoice with the bank details to make a bank transfer, or send a cheque for the appropriate amount made out to Creativity Unleashed Limited to Creativity Unleashed Limited, 31 Eastbury Way, Swindon SN25 2EL, or buy using a card over the phone on 0117-230-7123 (Cheques and purchases over the phone in pounds sterling drawn on UK bank accounts only). If you have any queries about the set or how to buy it, please drop us an email. We send your CDs first class in the UK or airmail overseas. Email us or call on 0117-230-7123 if you need UK special delivery. All prices include post and packing. Copies of the carol book to accompany the Ultimate Carol Set are available in full music (Amazon.co.uk or Amazon.com) and words-only (Amazon.co.uk or Amazon.com) versions. If you want a bulk order, it’s best to go to Hymns Ancient and Modern Ltd. direct. Any or all of the tracks for these albums can also be download from Amazon and iTunes, or the whole Ultimate Plus set directly from us. To download the whole Ultimate or Ultimate Plus set from us, use the Buy Now button here. For individual tracks or the whole album from Amazon/iTunes use the appropriate button in the Carols Included section below.